I’ll add a few more here, and please do comment with other professional readings. Media guru Doug Johnson started a thread the other day on WWWEDU, about suggested books for summer reading. The discussion there has centered around professional reading and include those listed to the right. I thought I would start a similar list here, but with books that are more for enjoyment than professional development. Though I read very slowly, I usually have two or more books going at the same time. So here is my list. Please comment to this weblog any books that you think would be worth the while of educators who are taking a much deserved break. I’m going to leave it there. Please do add to this list by commenting on this blog! Nancy Barbee, an eastern North Carolina educator posted a comment to yesterday’s blog asking for instructions on how to produce a podcast. I responded with an answering comment, but thought I would post it here as well. A blog to attach the podcasts to that syndicates in RSS 2.0. This entry was a response that I wrote to the WWWEDU mailing list. The question regarded what school administrators should be learning about blogging. I think that the real value of blogging, from a management standpoint, is in RSS and the aggregator — it’s the directions in which the communication flows. I’ll be participating in an event for a school district in Illinois this summer, exploring exactly how these technologies (blogging, RSS, aggregators, Podcasting, syndicated/subscribed/sent content, etc.) might integrate into the teaching and learning environment. I’m very excited about the possibilities, but in five words, “it hasn’t been invented yet!” We are so new into this stuff, that its place in the instructional environment is fuzzy, and its administrative application has barely been thought about. I recently ran into an Ohio tech-ed leader with whom I’ve worked, who is working toward integrating RSS and aggregation into the backbone of how they communicate throughout the district. Again, they don’t know exactly what that is going to look like, but they plan to have it up and running by the beginning of the school year. One interesting thing I learned recently at a Blogger-con was from an employee of a major technology corp, who had given permission to and even encourages all employees to begin blogging (internally) about their work. All blogs are syndicated so that they can be subscribed to by people with an interest. One of the surprises was that rather than workers overwhelmingly subscribing to their boss’s blogs, the trend seemed to go in the other direction, aggregation going from bottom to top. I’d hoped to have this out long before now, but nursing my web sites back to life after a major server crash a few weeks ago, put this project on hold for some time. Ok, I learned a long time ago that titles that are description and to the point, are much better than clever titles. EPN is a growing podcast directory that specifically targets education and educational podcast programming. There are three major categories. Subject Specific Podcasts, including computer/tech. skills, english language arts, information skills, music ed, etc. subscribe to the podcast using the feed address embedded in the RSS chicklet. Please feel free to suggest any podcasts (click Suggest a Podcast) that you believe will be useful to educators. I’m sure I have missed many obvious ones. Time for my on an issue that has already been blogged by Will Richardson, podcasted by Steve Dembo, and just revealed 18 links from Technorati, including an entry in Scoble’s Link Blog. They story surrounds a Cobb County Georgia high school principal closing down the school paper. I would like to make four statements about this controversy, but first quote two paragraphs from a story in the Editor & Publisher (America’s Oldest Journal Covering the Newspaper Industry), published May 19, 2005. Randolph Bynum, principal of Pebblebrook High School in Cobb County, Ga., cut the class, citing a teacher shortage and the need to keep more popular courses like cosmetology. But he also criticized the paper for negative stories at the expense of articles more favorable to the school’s image and for a lack of thoroughness in its reporting of stories on teen pregnancy and vandalism in the school parking lot. He said despite this, the paper could continue next year as an extracurricular activity. Point #1: It is human nature to jump to conclusions that agree with our world view. We’ve all known high school principals (and other educators) who’s behaviors conflict with our own desires for retooled education environments, both as students and as professional educators and education reformers. We’ve also known many who embrace and work hard for their students’ futures. In my book, we don’t have all the facts yet, and I suspect, as Steve Dembo said, that there is another side to the story. Point #2: In Jurassic park, Dr. Ian Malcomb (played by Jeff Goldblum) says, when trying to convince park officials of the dangers of their project, that “Life will find a way!“. At issue to bloggers is the fact that the student journalists, after having their established news paper shut down, resorted immediately to a blog, Speaking Underground. Teachers, librarians, and school administrators must come to grips with the fact that our information environment is growing and morphing. It is become much less a library of publications, and much more a conversation. The information will find a way. Point #3: Comments have been made about the fact that the students are not publishing much on their blog, only links. First off, I say, “Give them time.” In the same breath, I suspect that these students have not been taught to converse, in the sense that I described in Point #2. If this had happened in Will Richardson’s school, or the schools of many other educators who are using blogging to make learning more of a conversation, then the blog would likely have taken off like a prairie fire. In the 21st century, teaching and learning are about conversation. Don’t fight it. Doing so only damages your students’ futures — and yours. Point #4: I often quote a book that was written a number of years ago, The Cluetrain Manifesto. One element in the manifesto that impacted me was the idea that our customers (students & community) are going to network. They can either do it inside the school community, or outside. Which is better for local teaching and learning endeavors? The talk in Raleigh today is about the school budget and our county commissioners’ agreement to fund only $12.3 million of the school system’s request for $29.4 million in funding increases. One reason for the ongoing stress in Wake County (for readers who are not familiar with the district) is the overwhelming growth of this county. The geographic location, Research Triangle Park, and the numerous world-class universities, in addition to other factors, have attracted immigrants from across the U.S. and around the world. We’re building new schools every year, and this costs. But aside from that, the focus of the News & Observer article (Schools get mixed grades) is on numbers. They refer to Tony Pecoraro, a retired management consultant and “harsh critic of school spending”, and his ongoing personal examinations of the school system’s finances. I certainly understand the concern of tax payers, wanting assurance that their money is not being wasted. But I would suspect that Mr. Pecoraro owns a computer. Why isn’t he delving into the finances of IBM or DELL. He probably pays hard earned money for a car. Has he sifted through the ledgers of GM or Volvo? He pays for groceries, but I doubt that he examines data on the purchase, transport, and warehousing of his food. Why? For one reason, that information is not available to him. How convenient that school finance information is. But if he did examine their records, would he find waste? I would hope so, though I would not call it waste. Competition in a time of rapid change requires that businesses take risks, and sometimes misspend money on ideas that, in the long run, do not pan out. I would expect no less from those who are preparing my children to compete in a global economy. If education were the well oiled machine that Pecoraro wants to assure, one that keeps turning out products, each like all the rest, not adapting to the new environment, then I would sincerely worry about my children’s future. In fact, I AM worried about my children’s future. Mr. Pecoraro might even find evidence of unethical practices concerning tax payer moneys. He would be right to call attention to evidence of criminal behavior in school management, and to prosecute the offenders. But don’t punish my children for it. We are preparing our students for a future that we can barely imagine. The skills that they will need are different from those that I was taught in the 1950s and 60s, and for this reason, their classrooms must be dramatically different. In a flattening world where the U.S. is no long above the rest with its economy and technology, our sense of schooling must evolve. Not going forward today, is the same as going backward. Be a patriot! Pay for the education today, that our future deserves. I’m listening to a podcast by Moira Gunn, an interview with Brithis software entrepreneur Dill Faulkes (the Bill Gates of Britain). They are talking about the Faulkes Telescope, which is a project that he is funding where children in Britain can, through the Internet, control a telescope in Hawaii (where it dark during school hours), and conduct authentic astronomical research. Faulkes says that their desire is not necessarily to make astronomers out of these students, but to help them to learn what science is. I’ve probably said the same thing myself, but only then realized the implications. There is a general distrust of science in our society, and part of the reason is that we never learned, in traditional schooling, what scientists do, what science is. No big stories today. Just lots of little ones. According to a recent (May 24, 2005) Ipsos opinion poll, Blogs (are) Now Seen By Readers As Influential Media Sources. You can read some of the details in a p2pnet.net News story, Blogs vs Mainstream Media. What I found most interesting was the connection between whether people read blogs and their opinions concerning the reliability of traditional news sources. The study indicates that blog-readers will most likely cite local news, newspapers, cable news networks , and network news as accurate. How about that Apple. They are finally acknowledging podcasting, which is, after all, named for Apple. The next upgrade of iTunes will feature podcatching capabilities. Lots of other bloggers and podcasters have already commented on most of the exciting and disturbing aspects of this announcement, but to me, it connects with another development in the Mac arena. OK, I got this e-mail from Steve Dembo (Teacher42) yesterday concerning something called Meme tag. I can infer a meaning but am not taking the time to look it up. My web site is being flaky at the moment, so I’ll just take the time to answer most of the questions. Margaritaville (lost verse included) — need I say? King Arthur — Saw it at the theatre in our new neighborhood outdoor shopping mall. The movie was a lot better than I’d expected it to be. One of the touted features of Tiger, Apple’s new Mac operating system, is an upgrade to Safari, that features RSS syndication, integrated into the browser. What disturbs me about this, is that I feel that the result will be a limiting factor for the potentials of aggregators. A news aggregator is not a browser, and a web browser is not an aggregator. They are two tools with too distinct functions in terms of helping us access information. One allows us to go out and browse information. The other helps us train the information to find us. Now I see the value of combining the two so that we have one-stop-shopping of our digital information libraries, regardless of how it is found. But Podcasting is whispering at another capability for the aggregator. With podcasting, the aggregator checks for new programs, downloads them as they are posted, and then pushes or sends them to the appropriate device, in my case, an iPod. As more and more of our devices become connected to the networks, what aggregators imply is a central interface, that allows us to train information to behave in the ways that we want, that improves our experience. I’ve talked about this before, but another application occurred to me the other day. In central North Carolina, we are experiencing that weird couple of weeks where the weather doesn’t know if it’s supposed to be Spring or Summer. Our daily temperatures are ranging wildly, and my brand new heating and air-condition system is having a hard time adapting. It’s either too hot in the house, or too chilly, depending on what the weather was yesterday. In the future, an aggregator may allow me to subscribe to weather information from the near by weather service or news agency, and then send that information to my heating system so that it configures itself, based on our preferences. Many other examples of training information to find us, and then sending it to the technology that can best use it. Aggregators will become browsers, and browsers will become aggregators. But I hope that this merger does not cause us to overlook some pretty important opportunities. Perhaps the solution is in what Apple is doing, putting an aggregator in both its browser and its audio management software. I use NewsFire as my Aggregator. DOE Speak? You don’t say! We are so trapped in the memory of what school was like for us. When we were students, the world outside of school looked like the world inside school. Now, it does not. The ed-tech community loves the term ‘integration.’ But our schools need transformation, not integration. Simply integrating technology into instruction, accepts the existing environment, the existing instructional model. … We need to build instruction for personalized, customized learning for every student’s needs. OK, I’m going to afford myself a cheap shot here. “So why is the Bush administration seeking to wipe out educational technology funding?” That said, I’m going to pay some attention to Ms. Patrick. I suspect that her vision of the education that is instigated by technology may be different from mine, but modernizing classroom to prepare children for the 21st century is looking in the right direction. Not backwards! There is a controversy going on right now that has dire consequences for thousands of students and hundreds of professional educators. The situation is so fragile, at present, that I will not divulge any specifics, and instead, treat it as a hypothetical. So, let’s say that we have a suburban community, where a local newspaper reporter has obtained public documents regarding an issue being handled by local government. Reading through the document, the enterprising journalist finds several references that appear suspicious to his investigative mind. He makes some assumptions from his reading, without verifying facts and identifying unfamiliar labels. The journalist then approaches elected officials with the assumptions, reporting them as fact, and records a number of incendiary comments from those elected officials. The story appears in that week’s issue of the paper. As it turns out, the assumptions are wrong, and the staff of the agency at issue has to spend an enormous amount of time (and taxpayer’s money) dealing with the fallout of this manufactured controversy. In addition, reputations are severely damaged, perhaps irreparably. One of the foundations of my discussions on information ethics is that information is one of the fundamental infrastructures that our economy, culture, and governance reside on. It is no less critical to our survival and success than our roads, rails, sea and airports, and bridges. That information infrastructure owes its reliance not only on the security of our networks, but also on the accuracy of the information that we use. What happens to a person when, either out of malicious intent or irresponsible negligence, blows up a bridge? What should happen to a person who, working for an institution that we are urged to trust, damages the information infrastructure out of irresponsible negligence or a conscious desire to ignite controversy? Ironically, this guide was adapted, with permission, from the Code of Ethics of the Society of Professional Journalists. Author David WarlickPosted on May 24, 2005 June 2, 2005 Categories UncategorizedLeave a comment on Truth is a Bridge! While I have been so engaged in saving my web sites, I haven’t had enough time to delve very deeply into the ideas that have continued to be grown by thinkers out on the Net. Two of these big ideas combine with some news that I culled from my aggregator this morning. First, the Rip & Mix Culture. Literacy in the 20th century meant being able to read the text that somebody handed to you. We were consumers of information. However, today, because of the new networked digital information environment and increasing access to digital processing tools, we are beginning to shop in the information environment, picking pieces of information here and there, and then mixing them in a way that is personally pleasing and useful. This Rip & Mix mentality is not new. In the three-stoplight mill town that I grew up in, teenagers spent time, ripping parts out of their cars, and mixing new parts in in order to create the loudest, fasted, and most audacious looking vehicle on the streets. It was a do-it-yourself way of looking at our environment that has extended into the digital domain. My son, just after Christmas, came to me wanting to buy a device that would allow him to connect his video game system to his laptop computer. He told me how much it would cost and I tried to talk him out of it, given that he already had his game system connected to a 32 inch TV and he only had that much money left. Youngsters often want to spend all of their money on something that they think they really need, only to learn afterward that it hasn’t dramatically enhanced their lives. Then they become very hard to live with. He talked me into it, though, and that night I watched him playing Halo II with his computer on his lap, and that big TV sitting blank. The next morning, my son set his computer on the breakfast table in front of me, and said, “Watch this.” I can’t clearly describe what I saw, except to explain that he had been playing the game not as a competing player, but as a movie director, instructing his friends (also in the the game environment via the Internet) to perform digital acrobatics on the set of the game. He was actually playing the game through iMovie, and was capturing the video as a DV file. Then he laid some music under the video file, and cut and mixed the video to align with the music. Rip & Mix! The point here is not Rip & Mix, though, but the fact that it is illegal. Copyright law, as it has recently evolved under the unprecedented influence of the motion picture and recording industries, prohibits this sort of do-it-yourself personalizing of content, even though we have been teaching students for decades how to rip and mix text in the reports and essays that they write. Now I am not going to spend a lot of time on this issue. There are much smarter people than me who are very clearly articulating the problem. Listen to one of the audio files of Larry Lesseg’s address, or Dan Gilmore. It has been a horrendous last few weeks, since the server that was hosting Landmark web sites, crashed, burned, and fell into a crumpled heap, smoke wisping up to the celling. Sorry, it’s a satisfying image after the heartache that we have experienced. Anyway, I’m still picking up occasional pieces, but most of the Landmark web tools are up and running. They are fairly scattered across three hosting companies, with which I am currently more than thrilled. 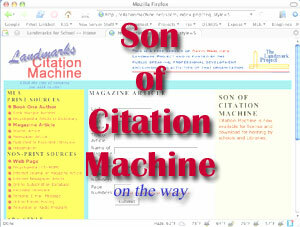 It may not be a surprise that Citation Machine (http://citationmachine.net) required the largest hosting plan. In fact, it may have been CM and the closing semester that brought that web server to its knees in tears. With things settling, a few weeks left before I start serious summer traveling, we are continuing to develop a new version of CM. One of our goals is to relieve the stress on any one web server. Under its current hosting plan, CM can only handle 70,000 citations in a day, which is only a fraction of its accesses in the waning weeks of this school term. This new version is being designed so that it can be licensed by schools and libraries, downloaded and easily installed on a local web server (requires PHP). What I am especially excited about is a new feature that will allow local CM hosts to edit, delete, and add citations. For instance, the other day I was in an elementary school, where they want desperately to teach their youngsters to cite information sources. However, standard MLA and APA are way too complex for 7 and 8 year olds. So we were able to delete out the existing citations, and add some that were much more appropriate for young scholars. I wish that I could say that we have developed a slick and intuitive interface. But we haven’t. The struggle has been to make it simple not only to operate, but also to install. Basically, it should be a compressed file, that is expanded and then uploaded to the web server, and, “bang,” you’re there. Essentially, there will be a config file that has scripts in it that describe the citations. The administrator of the CM site will have to edit these scripts to change the citations. I’ll talk more about how the scripts work later. It’s time to get to work. In a recent blog, I described a music recording studio that had been constructed by students and teachers at the Beacon School (Music is Basic). The point that I tried to make from this post was not a thorough as I’d hoped it would be. So let me rephrase. Stop teaching technology! Teach students to communicate! Now that that’s off my chest, allow me to expand. There is a lot of information out there. The new information produced in 2002 equates to 800 MB of recorded content per person, world-wide. In 2000, it was only 250 MB of information per person. With this growing glut of information that is available, it becomes a buyer’s market. That is, information must compete for our attention. 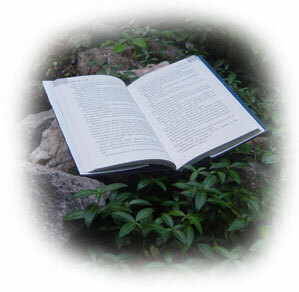 Writing has been taught as a technology, teaching the rules and procedures for writing a coherent paragraph. This is why even the writing part of SAT tests seems to be based on, the more you write, the smarter you must be. If we continue to teach writing the way that it has always been taught to students in public schools, then test scores may rise, but we will fall further behind in the race for 21st century jobs. If we teach children to communicate, then we do not merely teach them the mechanics of writing, but art of communicating convincingly and compellingly — to accomplish goals by influencing other people. In addition, if communicating in the 21st century means producing messages that successfully compete for attention, then at the same time that we are teaching children the art of communicating with text, we should also teach them to communicate with images, animation, video, and music. Certainly we studied art and music when I was in school in the middle of the last century. 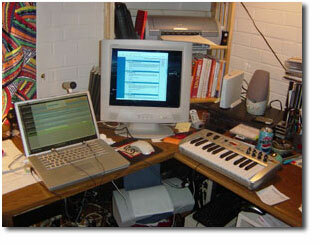 However, at that time only a very few people ever had the pleasure of producing music. Today, thousands of people produce finely polished musical works from recording and editing equipment that they have in their bedrooms and basements, and many of them sell their compositions through the new digital bazaars. Today, it is not merely learning to appreciate the art, video, and music of others, but it has become as important to teach students to produce valuable art, video, and music. The difference is that today students must move way beyond being mere consumers of information. We must make them skilled producers of content — information artisans.